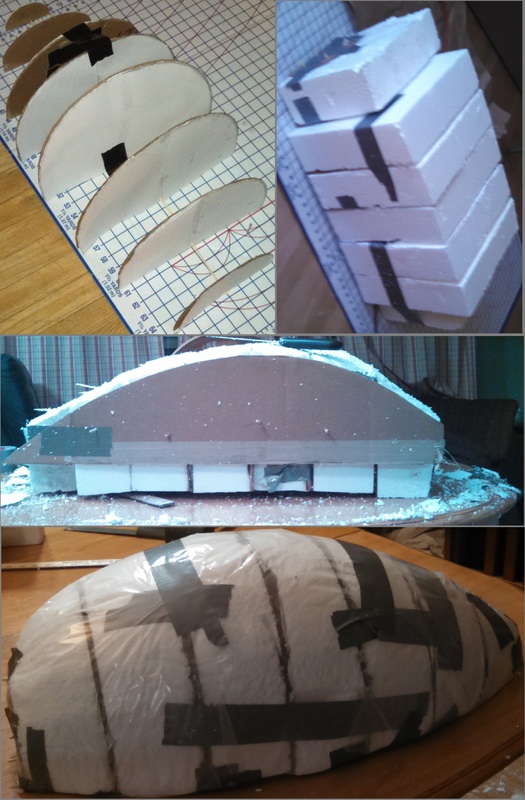 Body half mold shaping process from start to finish. 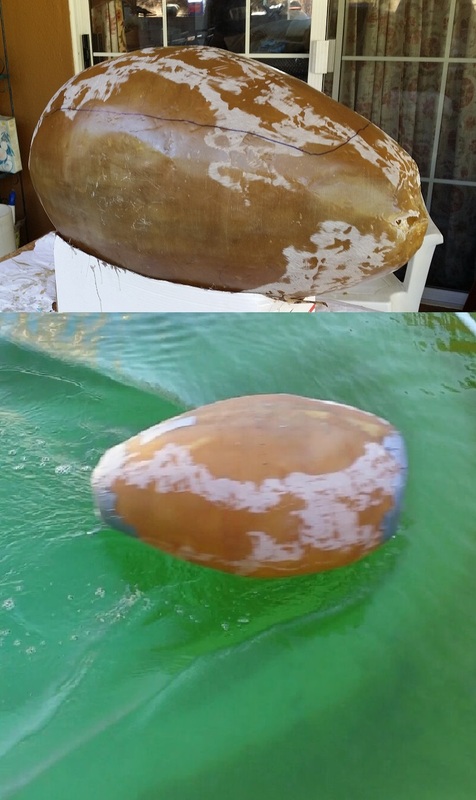 Body at the end of fiberglassing (top) and testing the fiberglass for leaks in an extremely dirty pool that has since been thoroughly cleaned (bottom). Once again, we thank Bandel Manufacturing as we could not have created the body of our vehicle without you. For more on Bandel Manufacturing, please click this link to their website or visit our Sponsors & Donations page to find the link there.